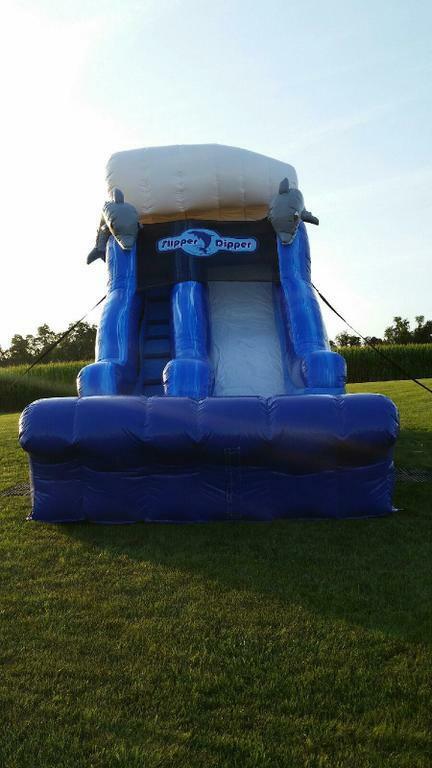 Bring the ocean to Atlanta with this dolphin-themed slide! 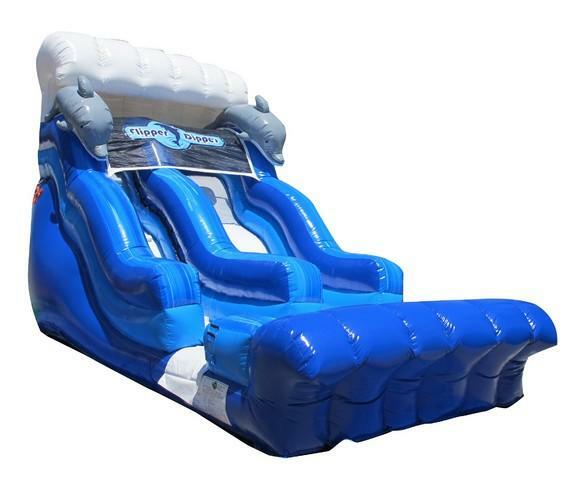 The Flipper Dipper slide is 18 feet high and features large white and blue waves at the top and bottom. Participants climb up the stairs and are greeted by 2 friendly dolphins, then go down the wavy slide and into a super splash landing!